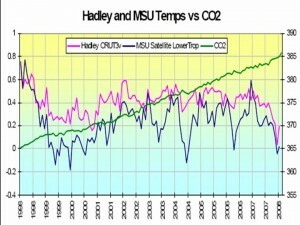 So, if correlation does not imply causation, what does non-correlation imply? 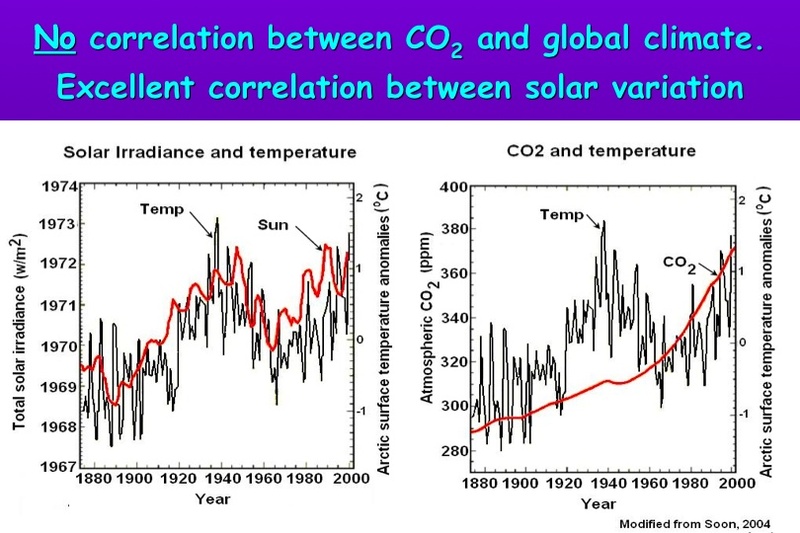 I only ask because it’s very difficult to see how CO2 is even remotely correlated to temperature change. 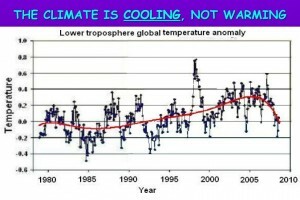 The International Conference on Climate Change met in New York earlier this month to discuss the latest in the science on the issue. The breath of fresh air was that this really was about the science and not the politics. You can review the proceedings here. (Thanks to Powerline for reminding me about this conference and picking out some of the best charts). Click the images to see them full size. 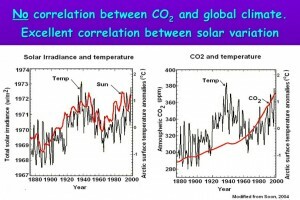 If there’s any correlation at all, it’s to solar activity and not to CO2 levels. How long to will they keep drawing connections to disconnected data? 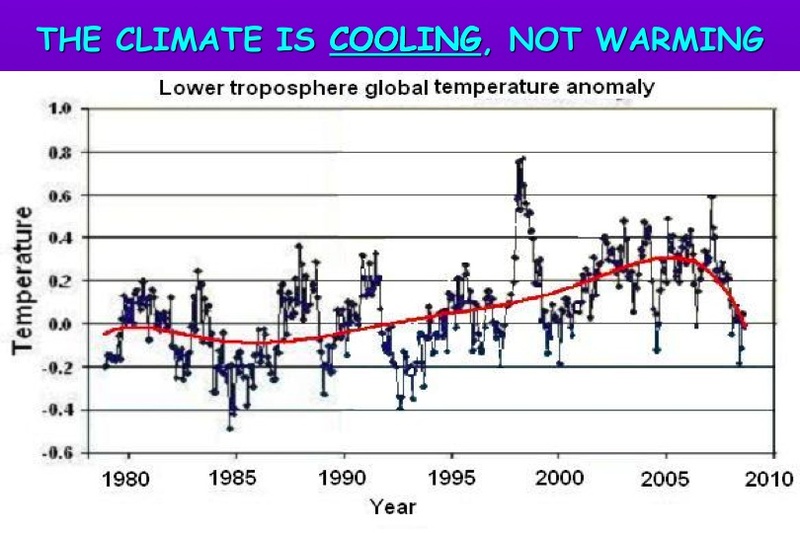 Oh, and as an exclamation point, here’s some fairly clear evidence that we are not, in fact, warming at all. 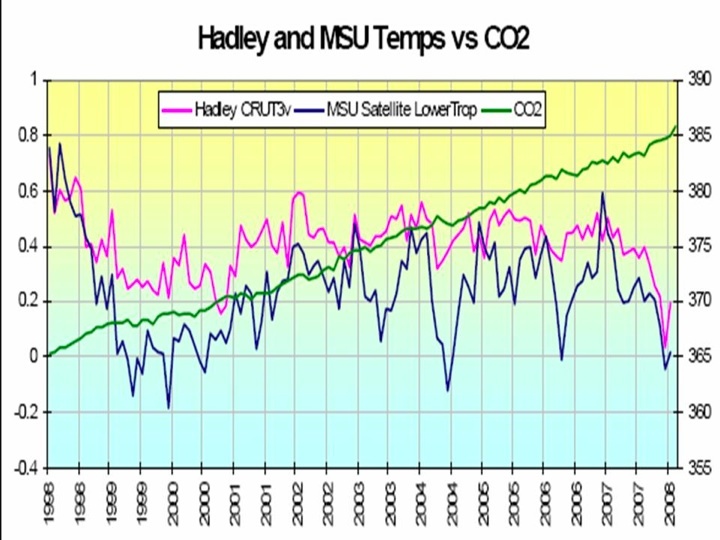 Maybe it’s just me, but that graph sure seems to be rolling downwards. What exactly were we looking for again?